Jesus’ disciples called him “Rabbi,” for he was their teacher. As a community of disciples, our calling is to continue to grow in our learning about God’s Word and its teaching. Through study and the active participation in Faith Formation, we seek to write God’s Word on our hearts (Jeremiah 31:33). We believe that the study of God’s word is a serious endeavor, but it can also be fun! Educational opportunities for children, youth and adults seek to integrate learning and relationship-building for all ages. The way of a disciple is a lifelong path of learning. The Holy Scriptures (The Bible) and the Holy Spirit are two essential companions along that path. At Mt. Horeb, all disciples are encouraged to read, study and pray with the Word of God. There are many good companions to the Bible that help open up the meaning and background of the text. If you’d like to do more study, check out Enter the Bible from Luther Seminary. There is a place for you in the learning ministries of Mt. Horeb! Whether it’s your first time attending a Bible Study, or you have gifts for planning and teaching, your gifts are an asset to God’s mission in this place. Check out the following ways you can get involved in Faith Formation at Mt. Horeb. If there’s something you’d like to get started that you don’t see on this list, talk to a member of the program staff. There are classes for all ages on Sunday Mornings at 9:45 AM at Mt. Horeb. From nursery to Confirmation Classes to older adult classes, believers and inquirers alike all have a place in one of our studies. For more information on Sunday School classes, please contact Pastor Hill. Growing in Faith is not always about classroom learning, but also involves exploring faith with peers and building Christ-centered relationships. Mt. Horeb currently has two youth groups: Peace Frogs for grades 3-5 and LCY for grades 6-12. Peace Frogs meet at 4pm on particular Sundays month and LCY meets Sundays at 5pm in the Fellowship Hall. Each late-start Wednesday at 8am, High School students from a variety of schools and a variety of churches meet at Mt. Horeb to share breakfast and devotional time. This is a great way for youth to build relationships with other young people of faith, as well as to gain spiritual refreshment for the rest of the week. High School can be tough, but having a group of faithful friends makes it a little bit easier! Weekly Bible Studies are offered in both morning and evening sessions. Topics range from Books of the Bible to studies of Faith and Culture. Check the church calendar for weekly Bible Study times, or contact the front office at (803) 345-2000. 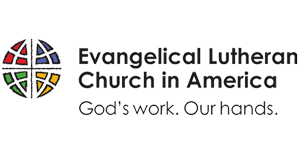 Each summer, we invite counselors from Camp Lutheridge to come to our church to facilitate a “Lutheroad” Day Camp for children grades K-5. 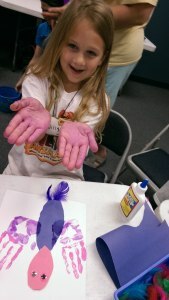 It is a wonderful program that combines hands-on learning with the fun of camp. The children LOVE the counselors and always have a wonderful time. If you would like your child to attend Day Camp, please contact the church office. The Confirmation program at Mt. Horeb is designed for 6-8th grade students, to ground them in the foundations of the Christian faith in the Lutheran tradition, and to help shape their lives according to their faith principles and practices. Confirmation classes meet every Sunday morning at 9:45am. Children at Mt. Horeb meet together for special instruction to prepare them for their first communion. Adults who have not communed may also schedule time with the pastor to be informed about the meaning and faith tenets of Holy Communion. If you have discerned a gift for leading or teaching, your gifts are valuable to the ministry of this congregation. Opportunities include: teaching (or assisting) with Sunday School for children, youth or adults, teaching a section on a certain topic, starting a Bible Study or home-based Small Group, or heading up a class at Vacation Bible School. If you would like to serve as a teacher or small group leader, please contact the church office. Under our Core Value LEARN, many things happen throughout the year here. From curriculum planning to the annual Easter Egg Hunt, from the Children’s Christmas Program to the Advent Breakfast & Bible Study, there are many hands at work behind the scenes. If you would like to give of your time to help, please call the church office at (803) 345-2000.